Over the past decade, our Bankruptcy, Reorganization and Creditors’ Rights practice has grown to encompass major corporate reorganizations and creditors’ rights matters across multiple sectors. We have represented clients in industries ranging from defense contracting to automobiles and trucking, restaurants and hospitality, convalescent and healthcare, energy, technology, building supply, sporting goods, textiles, distribution, satellites, manufacturing, mortgages, payroll, aerospace, medical testing and devices, entertainment, communications technology, sporting goods and real estate. We represent troubled companies, as well as creditors, and creditors’ and equity committees, in developing and implementing formal and informal workouts, plans of reorganization, exchange offers and other transactions and strategies, both inside and outside of bankruptcy. The firm also has a nationally preeminent practice in bankruptcy tax law. Our lawyers are known for their astute business skills, creativity and aggressiveness where appropriate. We are also able to draw upon the firm’s considerable resources in related disciplines—including transactions and high tech/intellectual property—to provide efficient, integrated counsel that achieves outstanding results for our clients. The reorganization team has successfully orchestrated numerous out-of-court workouts and reorganizations. We counsel clients on debt and equity offerings, workouts, take-out financings, restructurings, exchange offers, going private transactions, reverse mergers, debenture and preferred stock restructurings, substantial senior and subordinated debt restructurings and leveraged lease restructurings. Due to our deep knowledge of bankruptcy tax matters, our partners are often hired as special tax counsel to address one of the greatest challenges to a successful reorganization: tax claims by the government. Our firm has represented many creditors’ committees, including a bondholders’ committee whose members held more than $400 million in largely unsecured indebtedness, and the official committee of franchisees in a major bankruptcy of a large restaurant chain. We also have significant experience in the representation of creditors in bankruptcy proceedings. Known for our experience in bankruptcy litigation, and our partners are frequently hired to represent the debtor in “bet-the-company” proceedings. We often represent companies targeted by the debtor or bankruptcy estate in complex matters. Our lawyers have secured an impressive number of judgments and extremely favorable settlements in matters involving claims of lender liability, avoiding action claims, breach of fiduciary duty, licensing and intellectual property issues, as well as addressing issues involving contract, corporate, real property, tax, labor and numerous other areas of the law. We also have substantial experience representing entities that have acquired businesses and assets of financially distressed companies, as well as pursuing claims held by creditors of such entities. We have been involved in proceedings arising out of the seizures of large troubled insurance companies by the California Commissioner of Insurance. As authorities on bankruptcy matters, members of the team are frequently invited to speak at national and international conferences. 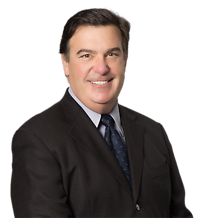 Moreover, our partners have authored numerous articles and leading bankruptcy treatises, such as Collier on Bankruptcy, Norton Bankruptcy Law and Practice and Bankruptcy Litigation.